When we grasp the essential spiritual principle of Threeness we open up to further inspired input of a spiritual dimension. We first master the secret of the yang/yin/Tao triplicity - push, pushback, adjust - and then allow the higher aspects of beingness to impact upon our inspiration to expand our claim of abundance. 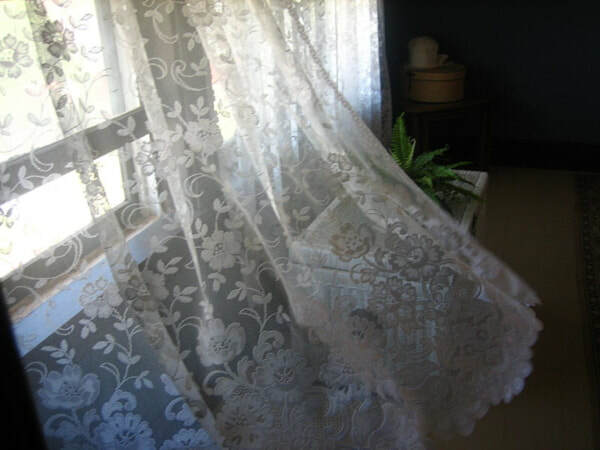 ​BLOWN INWARD BY THE WIND, THE CURTAINS OF AN OPEN WINDOW TAKE THE SHAPE OF A CORNUCOPIA. Symbolically, the open window is inviting; the prevailing breeze is unseen, yet points towards the horn of plenty. From this it is understood that, for those ready to respond, subtle guidance must not be ignored if we are to ‘seize the day’. In Sufism, the mystery of the Earth plane is seen to be abundance. The perception of oneself as poor is false – either a false interpretation or a false strategy of mind. A Sufi sheikh instructs a student who is travelling to a strange town – “Seek out the luckiest person you can find”. The student is perplexed. “What is called luck is one of the outward indicators of a spiritually advanced person”, explains the teacher. In a real sense, luck is a spiritual principle. When we have learned well what to do and how to be, then we attract good fortune. It has a lot to do with sharing. The wise have learned to embody the spiritual principle of open-handedness – as an example of the Golden Rule. This rule teaches us to be to others the way we want them to be towards us. What we give out, we get back – so being generous attracts generosity. The unconscious aspect of mind interprets our generosity as evidence that we are well-off, and therefore leads us to expect to receive good fortune. This expectation is self-validating. Therefore personal attainment is evidenced by abundance. This need not be financial or material – it is a state of being, felt as the absence of want. A strong, clear ego brings confidence because we are being true to ourselves. Such confidence brings good luck because abundance is the natural condition of an aligned being. When there is an alignment with all parts of our abundant being, then we have attained our natural authentic state. Therefore this degree shows an irrepressible gift for capturing the richer rewards of life, and sharing them generously with others. Human and cosmic truths are interactive – each reflecting the other – and here we see that the cosmic truth of abundance is matched by richness in the material world. Also, we remember to be both grateful and graceful, and avoid the smugness of those who vainly dispense favours as though their bounty is an aspect of self-love, rather than cosmic love. Uninhibited enthusiasm is a spiritual practice, which gives evidence to the wisdom of mutual, generous sharing. Giving and receiving with an open hand, we become more and more certain that abundance grows if it flows.